❣🌍🏆 The euphoria of the championship is starting to fade away, but we’ll never forget this great experience! Just as we won’t forget all of you who took this long journey with us – our fans, teammates and coaches, volunteers and sponsors. The first round of games has been set! PS: The Czech crew does’t stop here! We are bringing two NSOs, Terka and Lucie, with us, but it wasn’t only them, who we owe a lot together with other dear NSOs. You will surely hear our biggest fans and also derby girls April and Ema, cheering in the crowd . The first ever try-out for the Czech National Team took place on the 18th of March 2017 in the Sports hall of Litoměřická school in Prosek. This try-out enabled us to pick the best players to train as a team to get the best possible result in the World Cup in Manchester, February 2018. Our player Mörko wrote a short article about how the try-out went and you can see some highlights from the wonderful day here. The First time I heard this idea I fell in love with it. 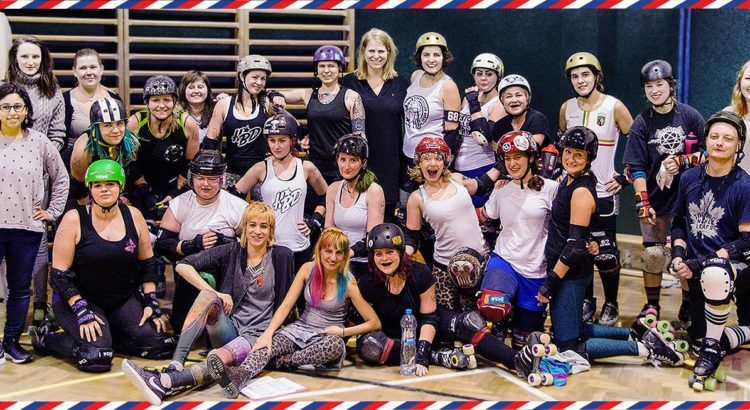 Czech National Roller Derby Team. The idea resonated with me for many days and I started to have a desire to be part of this team. I couldn’t stop thinking about it and I started dreaming about being part of this Team. On the day of the try-outs I made my way to the Sports hall Litoměřická and I was more nervous than I had been before any other match. I was wearing a backpack full of skates and pads. Míša, alias Ville Shadow, was walking with me. She arrived all the way from Bristol for the try-outs and I offered her to stay with me for the weekend. When we finally got to the sports hall, most of the girls were already there. Girls from Prague City Roller Derby, from Hardbreaking Dolls (another Prague team) as well as some players from Vienna and the UK. Among them were photographers ready to capture the first historical recruitment moments in the national team. Firstly, the selection board told us what was going to happen throughout the day. It started with off skates training with an emphasis on stretching and warming up of the muscles. A challenging day was waiting for us and that required proper physical preparation. After a while, we exchanged our trainers for skates and pads and began to evaluate our individual skills. Blocks, hits, plow stops. One after another, without a rest. After a while I became very tired and started to feel pain in my legs, but I did not let that take away my determination. The commission carefully observed each movement and wrote our assessments results in their forms. We just needed to keep on going. After the individual skills, we started to test ourselves as a team . The players were divided into two teams. Black and White. I was part of the team in white jerseys and was trying to show how good I was. The formations on the track changed constantly. Firstly, I was at a pivot position and helped the jammer to break through the solid wall of the players. Then switched to be a jammer – I broke my way through the pack. The drill reset and then I was a blocker. I quickly glanced to the other side of the track where the team in black were doing the same drills. No one was leaving anything to chance. 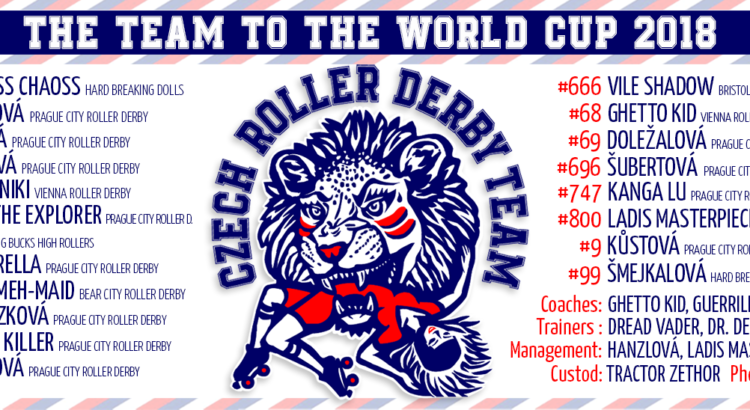 So many great Czech roller derby players and all of them deserve to go all the way to the championship. I stopped paying attention for one minute and got hit extremely hard. As I fell to the floor, I was bleeding and all I was thinking was: “No, no, it’s not over yet, I have to finish this try out!” but the ambulance was on its way. A few hours later I found myself sitting in a bar with the girls, they had already finished their try-out. Despite all that drama I had no injury, just a swollen lip and the bruises on my body were displaying all the colors of the rainbow. As we were chatting I got the run down about the scrimmage, the last part of the tryouts, that I missed. The scrimmage was challenging, after all day of skating, it’s hard to keep playing the contact game, but it was all just about that. Everyone who took part did a great job. They were all tired now, sweaty and sitting there, side by side, happy that they could be part of this great recruitment day. A few weeks after the try outs I found an email in the mailbox. I did it! I got through, I can train with the National Team. I couldn’t believe it. I know it will be hard work, but it will be well worth it. 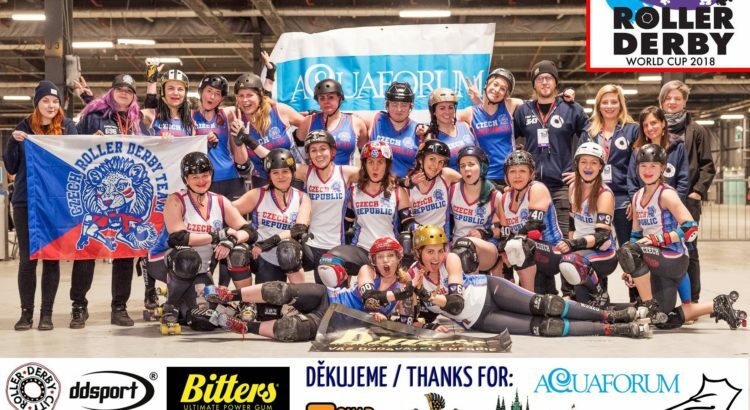 The Czech roller derby goes to the championship.